April has been a month of promising newsflow for biopharmaceutical group, Immuron (ASX: IMC) as it announced the close of recruitment of Phase 11 NASH (non-alcoholic steatohepatitis), and as recently as last week informed the market that it had filed for listing in the United States, a development that will provide increased access to capital and improve its profile in the sector. 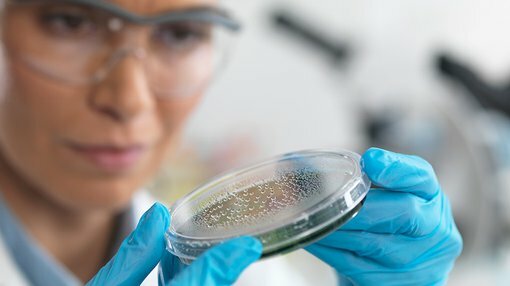 This combination of events has resulted in its share price increasing circa 50% in the last month, but there could be more upside to come following today’s announcement that the company has completed the first stage of its colitis preclinical program at the University of Zürich, Switzerland. This positions IMC to move forward to the next development phase. As a backdrop, in 2016 the company engaged the University of Zürich to conduct a three stage comprehensive preclinical research program to evaluate IMC’s leading compound, IMM-124E within several well-established Colitis animal models. IMC is now at a stage where it is able to report that the compound showed a significant positive effect on all levels of evaluation within the Acute Model including, clinical parameters, tissue level parameters (macroscopic and histologic), as well as immunological biomarkers. In summing up these recent developments, prominent University of Zürich Professor, Gerhard Rogler who has led the program said, “The accumulation of the data coming out of this first stage of our three stage comprehensive research program has given us confidence that there is a true biological effect of IMM-124E within the Acute model, and this has come as a surprise to some of us that such a safe and simple concept would show efficacy”. Rogler highlighted the fact that the research team had been involved in leading Colitis research for many years, and it believed that new approaches such as the one offered by IMC are critical for the future of Colitis therapy. IMC is targeting a lucrative industry in Colitis which mainly consists of Ulcerative Colitis and Crohn’s Disease, a chronic and often debilitating group of inflammatory bowel diseases that affect millions of people worldwide. The market for inflammatory bowel disease is expected to reach US$10 billion by 2021. In up to one-third of patients with colitis, treatment is not completely successful, or further side effects and complications arise from current treatment methods. In some cases, surgery to remove the colon is performed, but even after this procedure certain symptoms of colitis may still persist. Importantly, IMC has a unique and safe technology platform that enables a shorter development therapeutics cycle. The company currently markets and sells Travelan for the prevention of traveller’s diarrhoea.